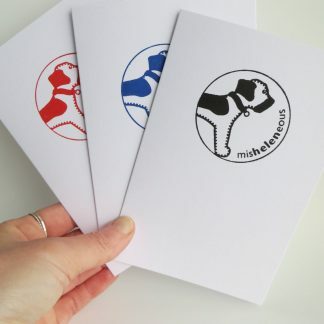 Blue and Red available. H8.5cm x W9cm. 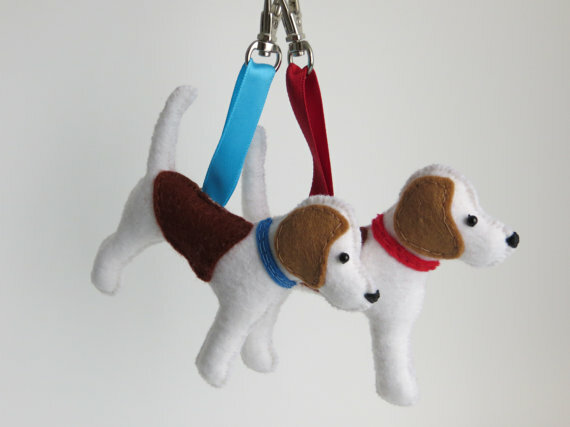 These Beagle bag charms are available with red or blue collars. The ribbon style may vary but the basic ribbon colour wont. 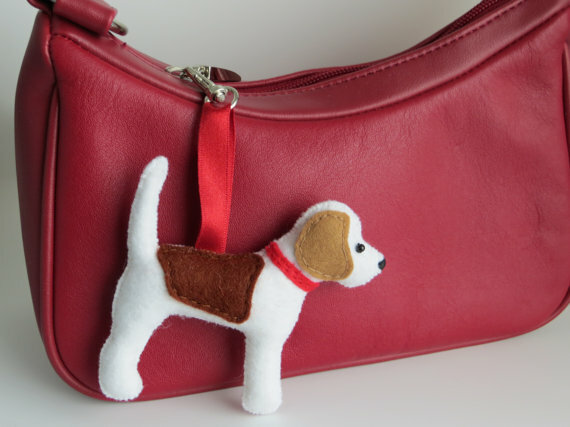 Made from felt and filled with polyester stuffing, these beagle dog bag charms are designed and hand sewn by me after a request from a beagle lover Allison, this design is now called Lola! A black bead for her eye and black embroidered nose complete the details. 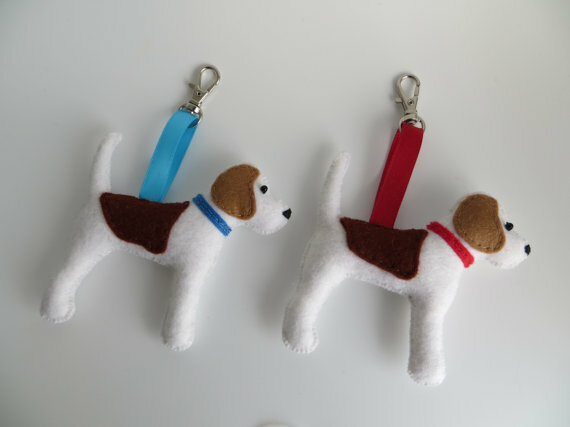 Also available as keyrings. Detailing to one side only. Materials: Felt, polyester stuffing, metal clip, bead, ribbon.